The first step in any endeavor in life is always the most important one. As the direction of the entire journey is decided by the first one. If the righteous path is chosen, the destination may be a possibility. If the direction is wrong, then all efforts go in vain. Howsoever you may go on and on but may not be able to reach where you envisaged going. Similar is the journey of civil services examination. No doubt, it is an arduous journey full of ups and downs along with the tremendous challenges posed in the process. It requires rigorous efforts in a systematic, smart, consistent and disciplined approach to accomplish the dream. However, these may not be enough if the beginning is not done right. What I want to convey is that you must start well. 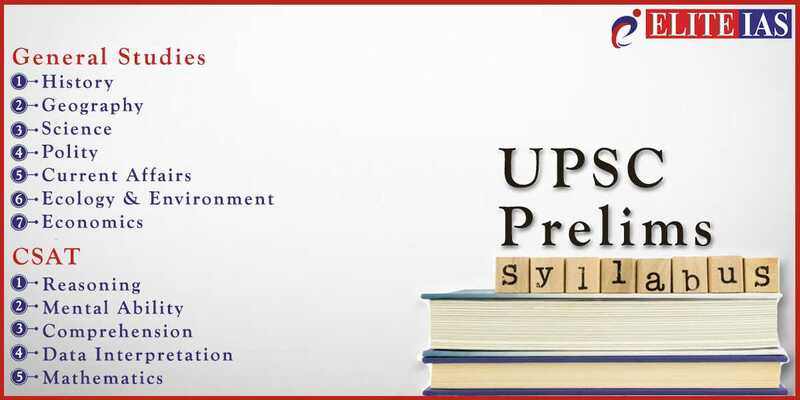 And to begin the preparation on right track for any examination, you must understand the UPSC syllabus first. Because the very success in the examination depends on your understanding of the demand of the examination. Syllabus of any examination is like the mirror which reflects you the demand and expectation of the examination from you. And civil services examination is no different. 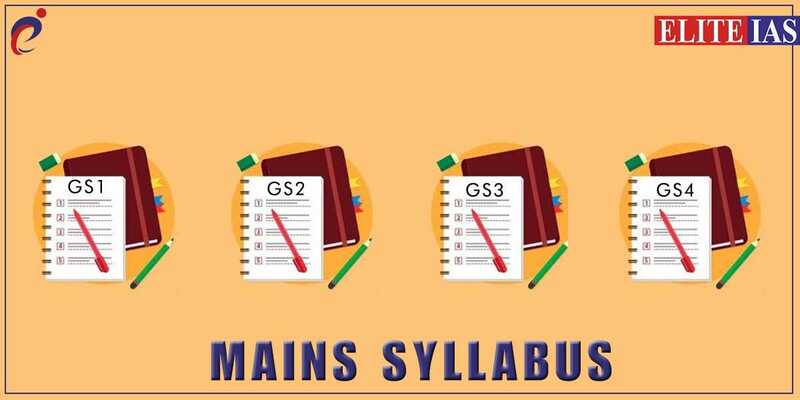 Given the vastness and complexity of the UPSC syllabus and examination process, it only becomes imperative to understand the IAS syllabus to the core. That only simplifies the things to follow. Civil Services Examination syllabus is quite lengthy, diverse and open-ended at certain places. It requires one to truly understand the IAS exam syllabus keywords and the related topics so that may be covered in detail covering the various scope of the UPSC syllabus. What follows in this article is to throw light on the entire syllabus so that it may be understood by the aspirant as to exactly what may be expected from them through questions in that part of the syllabus. It also needs to be understood that syllabus is neither restrictive nor expansive. In fact, the UPSC syllabus is known for its notorious nature in the sense that anything and everything under the sun is part of the syllabus. However, not everything under the sun can be prepared as that is humanly impossible. An aspirant must restrict himself somewhere so that UPSC syllabus can be finished within time and one becomes exam-ready with ample answer writing preparation. Again, this requires the understanding of the UPSC Exam syllabus. If you get a good grip over it, they can prepare a smart strategy for your preparation which may require less time, give more yield, cover more aspects of topics, expand your horizon overall without deviating from the path which will take you to the desired success. So here we go with the IAS syllabus. A preliminary exam of Civil services is the first stage in this examination but the diciest one. It has really become more tricky with CSAT becoming just qualifying in nature. It may make or break your civil services journey. All sincere efforts put for years may come to a grinding halt in two hours and by just a few marks. It is really disappointing not to clear prelims after having prepared so well for the examination. So please do not take a chance with prelims. It may have devastating consequences if taken lightly. UPSC prelims syllabus is perhaps as dicey as the prelims per se. The syllabus is phrased in just a few sentences which does not give a true picture of the examination and the expected areas to be covered. It really comes down to the individual to dig into the past year’s questions paper to understand the nature of the questions papers and then accordingly structure the preparation. Also, one may be required to join a coaching center to get the expert guidance to go through the preparation. It is not easy to decode the IAS syllabus on own. And by missing something in your preparation, you may be missing a few questions in the examination which may be the difference between selection and rejection. So it’s safer to understand the expectations from each part and then prepare in details accordingly meeting the requirements of the UPSC Exam syllabus. Useful Article: How Many Hours of Study is Required For IAS Exam Preparation? This part requires the aspirant to be thorough with the Indian history in an inclusive sense. That would require a cultural, political, social and economic history of India. Art and Culture are quite important from the prelims point of view. One needs to understand the cultural history of India going into the beginning, evolution, and development of art forms (Dances, paintings, music, theatre, puppetry), architecture(forts, temples) sculpture, caves (Ajanta, Ellora, Bhimbetka etc), schools of philosophy, literature etc. Idea is that various aspects of culture should be studied and understood in the chronological, interrelated and holistic way along with the required comparison among art forms and across periods. Ancient and Medieval history constitutes an important part of UPSC syllabus but most questions are asked from Art & Architectural development point of view. Some questions may be from the political and economic aspect of ancient & medieval society. The modern history of India should be studied in detail right from the arrival of British till the Independence. The focus should be on understanding the arrival, Expansion of the British Empire, the internal rivalry among Indian kings, the various policies adopted by the British to colonize India. Then you should get an overview of Indian freedom struggle leading up to freedom. Various key events in the freedom struggle are important from prelims point of view. Some facts would need to be memorized. Overall, focus on key events, analysis of initiatives, key features of policies and legal acts, chronological understanding would help in the prelims. Useful Article: Which books for IAS Exam Preparation and How to Study for IAS? The questions asked are easy which tests your basic understanding of geographical phenomenon such as Earthquake, Tsunami, Volcano, Landslides, Cyclone etc. You should understand the scientific reasons behind them. Then you should understand the phenomenon of weather, climate across the world. The movement of currents, blowing of winds should be understood. This defines the various climatic regions across the world (Tropic, temperate, British, Chinese, arctic, tundra etc). You should be well aware of the world map and location of physical features such as mountains, lakes, grasslands, rivers etc across India and the world. Some map related questions would be asked. Make it a habit to go through the Atlas regularly. This part expects the aspirants to be well aware with Indian constitution, its historical underpinnings, fundamental rights, duties, DPOSPs, center-state relations, Parliament, state legislature, president, governor, amendment of constitution etc. The question may test your understanding of the concepts, procedures, processes etc related to parliamentary democracy. Also, some factual details would need to be memorized such as important articles, president election procedure, ways of the amendment, important constitutional amendments etc. Try to understand the essence of the Indian constitution, the parliamentary system, and related aspects. This part of UPSC syllabus deals with economics and development. Basic macroeconomics and microeconomics concepts should be well understood such as GDP, GNP, fiscal deficit, deficit financing, repo rate, external commercial borrowing, inflation etc. You should understand the concept of economic growth and development and differentiate between the two. Development and related concepts such as inclusive, sustainable, holistic, multidimensional etc should be understood. Sometimes, basic conceptual questions are raised. Social sector initiatives taken by the government for poverty alleviation, employment, education, health, women empowerment, rural development may be the potential source of some questions. Statistics related to poverty, employment, hunger, agriculture etc may be referred to as well. Overall, the focus should be on concepts, application, initiatives, basic statistics to score well in this part of the syllabus. And believe me, this may be the easiest questions to address in the prelims paper. This is one of the favorite parts of the IAS syllabus for raising questions in the prelims exam. The aspirant is expected to understand why this is important at all. Because it is directly related to the survival of wildlife, biodiversity, and more specifically humanity. And the vulnerability of the planet is increasing as every day passes because of the anthropogenic global warming, climate change, and pollution. So, a well aware aspirant is expected to know the basic concepts and the recent happenings in the sphere of environment and biodiversity protection, like Paris climate agreement, UN conference on sustainable development, green energy mission, INDC targets etc. You should also be aware of the endangered flora and fauna, biodiversity hotspots, national parks & sanctuaries, recent initiatives taken for protection and conservation. Shankar IAS environment book is a must-read book for prelims part as it covers concepts, applications, global initiatives and details of endangered flora and fauna. Useful Article: Why Sociology is a Good Optional Subject for Civil Services Exam? One need not go too specific into the science-related issues as the questions are generally not meant to test the deeper understanding of any problem. But the aspirant is expected to know the recent developments and their applications in day to day life. Basics of robotics, Nanotechnology, Biotechnology, IT, Intellectual property, Space related development etc should be known. Any recent breakthrough in the field of science, innovation of any product, application of science in daily life may be asked in questions. I do not consider any special preparation for this part apart from NCERTs basic reading for concepts and the current affairs for the latest happenings. Nowadays a lot of questions are asked from current affairs. You should keep track of all the current happenings in India and around the world. Questions may be related to global meet (WTO, UN, G20, UNEP, UNFCCC etc), popular index (ease of doing business), regional groupings(SAARC, SCO, BIMSTEC etc), any publication(by WTO, World Bank ) etc. Actually, current questions are going to test your alertness and awareness and not just knowledge. You are supposed to read the newspaper consistently to address these questions. However, do not restrict yourself to the newspapers. You may search the topic on the internet and read more about that. Such research is important to cover the topic in detail to handle any question-related. To understand better the type of questions asked in prelims from current affairs, you should go through the previous few year questions. That would give a fair idea of how to go about the preparation for this section of IAS, prelims syllabus. The paper is just qualifying in nature so it is not going to make any difference to overall score in prelims. However, make sure that you are well prepared to qualify this paper otherwise all efforts are wasted. That may not take much of your efforts. You should go through the UPSC syllabus and practice sufficient questions from each topic. Comprehension carries a good number of questions to develop your reading skills and comprehending abilities. And you are required to read fast and find out the answers from given choices. Reading newspapers and many books for this exam do improve comprehending skills. Other questions would be asked from communication skills, logical reasoning, analytical ability, decision making, problem-solving. If you do practice some papers then can do well with this part. Basic numeracy skills of standard tenth are tested, if someone does not have much of background in maths then need to practice more to solve the questions within time. Rest assured, this paper can turn out to be a child play if you have practiced enough with time. If you go through the IAS exam syllabus minutely then would find that this paper contains mainly Indian Art & Culture, Modern Indian history, world history, Indian Society, Indian & world Geography. These topics can be overwhelming for the beginners so they may also read these sections after completing other GS papers syllabus. Art & Culture questions are more analytical which requires both the factual content and good analysis to answer the why and how part of the question. To answer them, the historical background of the art form production needs to be understood. You are not required to study more than that having studied for prelims. But here, the focus would have to be more on the analysis part. For ex- Just memorizing the features of Sangam literature and Chola architecture are not enough but needs to understand the social, political, economic, religious context of the art form production. Modern history, if you have prepared well for the prelims then need not to do anything special for the mains as content and analysis remain the same. The questions here are more analytical in nature which requires a good understanding of the historical event. You need to practice answer writing a lot for the mains. Post-Independent Indian history, you should study in details some of the major events such as India-Pakistan wars, Shimla agreement, Green revolution, Punjab Crisis (Operation Blue Star), Economic reforms etc. Questions would be specific to any event. You may watch Pradhan Mantri TV Series to understand some of the events. World history is no doubt a vast ocean of knowledge. So aspirant should not delve into the deep and rather restrict to some of the major events such as major revolutions (Industrial, French, American, Chinese, Russian etc), World wars, Great economic depression, Spread of capitalism, waves of decolonization etc. However, the key here is that reading the thick book before exams are not feasible so better prepare short notes for quick revision. Indian Society syllabus is quite generic without having any style or structure. Questions may be related to any challenge in Indian society such as Poverty, caste system, Unemployment, Infanticide, urbanization, communalism, regionalism or any other issue. Here you may not have a dearth of content but may face the problem of presenting yourself in 200 words. That requires answer writing practice. You may make brief notes on each topic including crisp definition, latest statistics, government schemes, criticisms of these schemes, causes of issues, current examples, impacts on Indian society, and suggestions as for the way ahead. Geography part study plan here should be similar to that of prelims. But only addition here would be that you should focus a lot more on the distribution of resources(coal, petroleum, iron, gold, uranium etc) across the world and the factors responsible for the location of primary, secondary & tertiary sector industries in various parts of the world. It would be better if the diagram can be made to make it more illustrative. This is one of the toughest paper in GS in terms of the nature of the questions asked. This paper consists of Indian Polity, Social Justice, Governance and International Relations. This paper is highly dynamic in nature and one has to be well prepared with current affairs. The role of newspapers in this paper is quite important as questions asked are mostly from the current issues prevalent in Indian political democracy. This paper tests your understanding of the Indian constitution. You must go through the constitution, its evolution, features, constituents, provisions, amendments, basic structure etc. Questions may be asked about the comparison of Indian constitution with others, say American or French constitution. Federal structure of Indian constitution, division of power among union and states, devolution of power up to local government should be well understood. Nowadays cooperative and competitive federalism is emphasized a lot so explore various aspects of federalism, its challenges, prospects and way forward. You should be well aware with a parliamentary system of India, the functioning of parliament, state legislature with various procedures (ex- money bill, adjournment, no confidence motion etc). Questions may be asked on various bodies statutory (NHRC, NCW, National Law Commission, National green tribunal etc), Regulatory (TRAI, FSSAI, SEBI, RBI, PFRDA etc), Quasi-judicial bodies (National consumer disputes redressal commission). You may prepare related to the issues concerning these bodies and the causes of ineffective functioning and way forward to ensure autonomy and effectiveness. Social justice part of the UPSC exam syllabus refers to the various schemes taken by the government for development of vulnerable sections and poverty alleviation measures. Any scheme may be asked in the questions such as, what are the issues affecting MNREGA and how it can be made more effective? You should emphasize on the implementation mechanism and related lacunae of the programme. Related to poverty and hunger, be prepared with the various methodology of poverty estimation in India (Tendulkar committee & others), the shortcomings with each, suggestions to improve them and the concept of multidimensional poverty. Prepare some statistics also related to this topic along with the study of some reports on hunger in India. In Governance part syllabus, focus on each keyword mentioned in UPSC Syllabus such as Accountability, E-governance, Transparency, citizen charters, Good Governance understanding their definition, application so far, limitations, different models and potential. Forex- You may be asked about issues affecting the spread of E-governance in India and how they can be addressed. How the local government can be made more accountable? Cybersecurity is a buzzword associated with E-government nowadays. Also, focus on how Aadhaar has made a significant contribution to governance in India. International relations part of this paper is highly dynamic in nature. Needs to have a birds-eye view of India relations with neighboring countries, African nations, Major European countries, Russia, USA, Australia etc. Recent bilateral summits are potential sources of questions. EX- Recently Indian PM visited Japan. So, you may be asked about untapped potential in our relations which can enhance economic and strategic cooperation between two nations. Similarly, what India would be required to do to check Chinese increasing influence in the Indian ocean? Questions may be related to economic, political, strategic aspects of relations of India with the rest of the world. Be updated with the latest happenings in this context through newspapers, MEA website. This paper is entirely based on current affairs. There is no dearth of materials for this paper. You may, in fact, end collecting too much of materials thus getting sunk under the heap of coaching notes and current affairs. So it is important to make notes for each topic and collect as much content as may be sufficient to write a 200-250 words answer. You may go through government reports, Niti Aayog 3 year action plan, Economic survey to come up with better content in your answers. The major part of the UPSC exam syllabus in this paper is about the Indian economy and associated related issues. How the economy runs needs to be understood. To some extent, government & RBI influences the economy through its fiscal & monetary policies, and then free market forces take care of rest. Economic planning, the budget-making process, distribution of limited resources, generating more resources, borrowing of money etc should be understood in depth. Once you understand interrelating different concepts in the economy, it will become easier from thereon. In the beginning, the Economic part seems to be tougher but actually, it is not. If you can apply common sense to various economic concepts, it will enhance your understanding. It’s important to get into the depth of factors affecting economic growth and development. How Industrialization, urbanization, skill development, technology, labor reforms, speed, scale, women empowerment etc can affect the economic growth needs to be thought and understood. One thing, I can assure you is that the more you try to think the more you will enjoy this subject. UPSC syllabus is designed not to choose the economist but the layman who understands the economy well. Agriculture is a major part of syllabus so all issues related to farming should be analyzed and you may come up with some original ideas as suggestions. Be thoroughly prepared with every keyword mentioned in IAS syllabus such as cropping patterns, irrigation systems, agricultural marketing, technology for farming support, farm subsidies, minimum support price etc. Raise certain questions yourselves to explore every topic. For e.g. Types of the irrigation system in India, the problem with tube well & canal irrigation, how to increase irrigation efficiency (drip & sprinkler irrigation), river interlinking project etc can be some of the probable themes for questions related with irrigation. Food processing is a hot topic nowadays for questions given a lot of improvement in agro-processing in India with the establishment of Mega food parks and support from the government in multifaceted ways. Explore the scope of food processing in India, challenges posed, infrastructural issues, technological availability, skill level, forward & backward linkages, cooperative & corporate farming etc. You are expected to know a little about Liberalization, its impact on Indian economy, how successful it was, how industries grew afterward, need for changes today to industrial policy, Impact of FDI, FII on the economy etc. Did liberalization worked for small sector enterprises, informal sector, household industries, small retailers may be explored along with. Investment models such as Public investment model, private model, public-private partnership model (BOT, BOOT, BOO, DBFO..) should be understood and find out the issues affecting each model, especially the PPP model. Be updated with recent steps taken to make PPP more effective. Disaster management part needs no expertise but only general awareness about disasters such as Floods, Earthquake, Cyclones, Landslides, Tsunami, Stampede etc. Try to address any disaster from three sequential events, pre-disaster preparedness, during a disaster, post-disaster actions. The focus should be on how to prevent the disaster, and then comes the role of post-disaster actions such as Rescue, Relief, Rehabilitation, Reconstruction etc. Think if a disaster strikes in your place how you will deal with it. You should go through India disaster management plan recently formulated. Science & Technology part of UPSC syllabus expects basic awareness in the field of information technology, space, robotics, nanotechnology etc. The question may be either specific or general in nature. E.g. How nanotechnology can be used in improving irrigation ? or How nanotechnology growth can be the next big thing in India? you should be aware of its various uses, any recent breakthrough in technology etc. Security-related part of syllabus refers to various issues plaguing India at borders and within such as Naxalism, fundamentalism, insurgency, border infiltration etc. You should understand the root cause of each problem, and how it escalated and the engulfed areas. How external state (Pakistan, China etc) and non-state actors (e.g Media, NGOs, foreign funding, activists etc) have aggravated these challenges. Importantly, questions may be analytical and ask your suggestions to resolve these issues. Nowadays, a lot of questions are asked from non-conventional security threats such as Cyber threats, money laundering, Organized crimes, trafficking, smuggling etc. You may also be asked about initiatives (administrative, legal, technological) taken by the government to address these challenges. Most of the questions would test your basic understanding and your innovative suggestions to address some of the issues. As climate change looms large, environmental concern is only growing stronger. The aspirant is expected to know about environmental issues such as climate change, greenhouse emissions, pollution, and environmental degradation, impact assessment, wildlife conservation and efforts taken, man-animal conflict, sustainable development etc. Aspirants should be sensitive to the environment and should have a balanced approach to development. Environment and development have to go together and your answers should reflect these concerns along with providing innovative suggestions to address the issue. In recent times, questions have been asked about Delhi pollution, urban flooding, interlinking of rivers, highways passing through national parks, climate change targets etc. This papers test the Ethics, Integrity, and Aptitude of the aspirants willing to join the prestigious Indian Civil Services. This paper doesn’t require any expertise knowledge but only tests your suitability as a civil servant. To know that how good a decision maker you are, are you a person of Ethics & Integrity, do you follow compassion & kindness, what is your attitude towards politics, life, religion etc, how emotionally intelligent you are etc are the purpose of this paper. So believe me, you need not to burn the midnight oil for this paper. You should be conceptually sound with several keywords in the paper such as Ethics, Integrity, Attitude, Non-Partisanship, Objectivity, Compassion, Emotional Intelligence, Probity etc. You should carefully go through the IAS exam syllabus and define these keywords in simple words. That may be used as an introduction as part of your answer. Also, you may add a real life example to illustrate the concept. Every question would be having an underlying theme to test certain quality or know your viewpoint, check attitude so don’t let that opportunity go to display your ethics in each of question. That can be demonstrated by the actions you did or some other personalized/real-life example you quote. Reflect on your childhood, school life, college time, professional career etc and glean examples that are simple, unpretentious and at the same time bring out your ethical values clearly. For some questions, you can also quote historical examples from the lives of great leaders. Your answers should reflect the good side of you, i.e. compassionate behavior, positive attitude, patience & perseverance, emotional stability, hardworking ability, leadership skills & vision etc. These qualities are quite imperative to become a good administrator and thus a good civil servant. In Case of studies, you should understand the case first and try to explore various options which are feasible, realistic and pragmatic. Don’t create hypothetical options just for sake of it as they may not be realistic and implementable. Most importantly, your course of action should be backed by sound reasoning as no action or decision is plainly good or bad but the circumstances prevailing which matters. So express your arguments related to the particular decision taken. Questions in this paper are often very general in nature, forex – How can you tackle corruption at your workplace, how will you motivate your team to accomplish the target in time etc so you should come up with your ideas to resolve the issue which can be executed with available resources. Basically, think on original lines to deal with these prevalent challenges and come with innovative solutions. That is what is expected from a civil servant. You should answer the questions from the core of your heart without any manipulation of thoughts, let your thoughts freely flow on the paper. Whatever comes naturally from within best describes the individual. Do not hold yourself and must express freely to the questions asked. Write what you feel about the question asked, give examples from real life, quote great persons like Mahatma Gandhi, Mandela, Vivekananda wherever relevant. Above analysis of civil services syllabus is not comprehensive but suggestive in nature as it’s not possible to limit the scope of the IAS syllabus. In a separate article, I have written about the books & materials to be read for each topic. Make sure that, you have a print out of the UPSC exam syllabus and you read that carefully time and again. Your aim should be to understand each topic mentioned in the UPSC syllabus. You should also go through the last 4-5 years mains question papers and try to relate the question to the topic in the syllabus. You shall understand the depth and breadth of the questions usually asked and get the perspective of what may be important and what not. Current affairs would have been superimposed over all subjects, especially GS paper 2&3. Make notes so that you may revise them time and again before the exam. Please ensure that you focus on the peripheral coverage of the UPSC syllabus rather going into the depth of it and gain minimum sufficient knowledge over a diverse set of subjects. Still, there may be questions you don’t have any clue in the exam. Just try to build an answer from generic points you have. Try to attempt all the questions in the exam. Focus on the speed of answer writing. You will have to practice a lot to improve the quality of answers. Don’t shy away from putting hard work. Don’t just keep buying new materials for every topic, see if that can add any value to your preparation. Eventually, to succeed in this exam, the source of material is not important. What matters is that you understand the concepts, memorize certain facts, practice enough answer writing and develop a firm grip over the entire IAS syllabus.